Investing in better hearing is a smart decision, and it is important to protect that investment through proper care of your hearing aids. 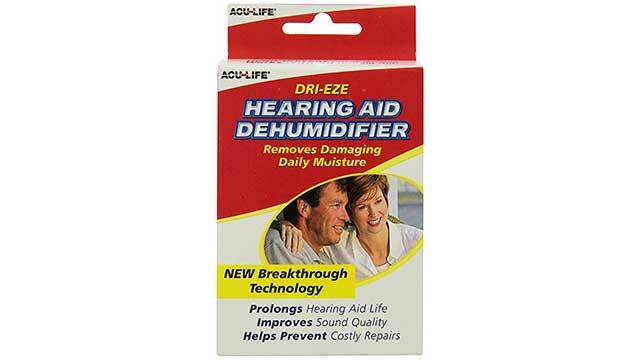 The second most important thing you can do after purchasing a hearing aid is to get a hearing aid dryer or dehumidifier. A hearing aid dryer, or dehumidifier, will ensure that your hearing aids work their best, can extend the lifespan of your hearing aids, and decrease the need for repairs. Moisture is a big problem with hearing aids and can lead to costly repairs and malfunction by corroding or degrading the delicate electronic components inside the device. Who needs a hearing aid dryer? Everyone who owns a hearing aid or a cochlear implant needs a hearing aid dryer! 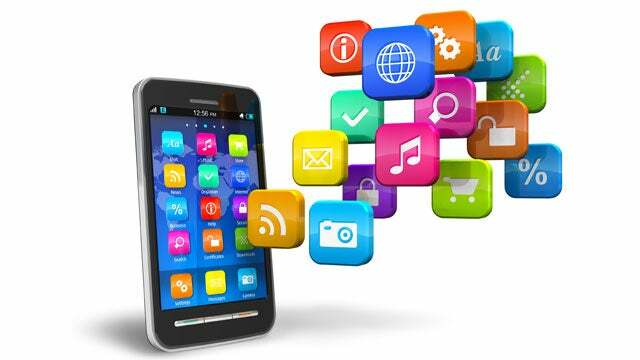 Think about any electronic device you own in your home. Now imagine if that device was outside, being exposed to the elements every single day. While that may not be the case for your home TV, your hearing aids are exposed to the environment day in and day out (unless you never leave your house). It is even more important for those people that live near a coast or in a wet or humid climate to use a hearing aid dryer. Not only that, but the fact that you are wearing the devices on your ears exposes them to the perspiration and oils of your body. Electronic dryers utilize a power source, often a universal AC adapter. The drying source can vary from heat, fan, or desiccant. Non-electronic utilize a desiccant or gel to absorb moisture. To help you choose which is right for you, check out our hearing aid dryer comparisons below. The electronic dryers usually have more features built in to them, such as disinfectants, deodorizers, and timers. 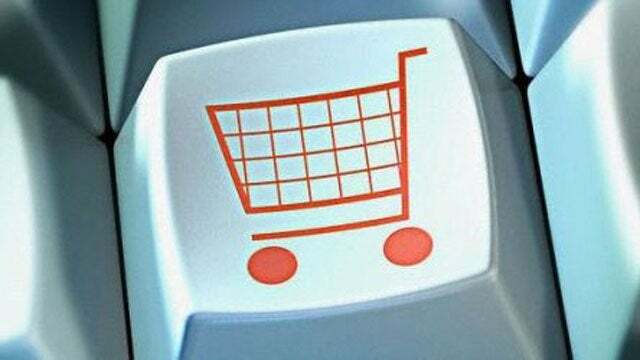 They are more expensive than the non-electronic dryers, but typically run less than $100.00. 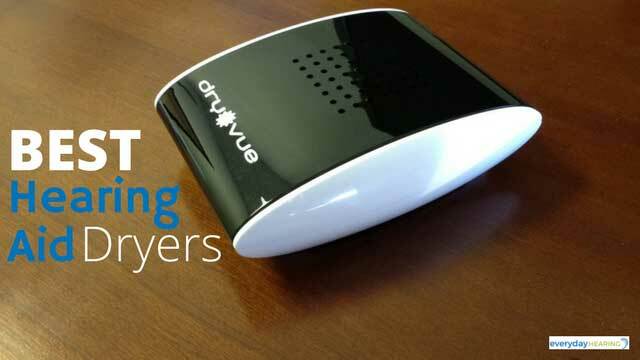 The modern and sleek design of the AudioDry Dry-Vue dries and disinfects your hearing aids using heat and UV-light. 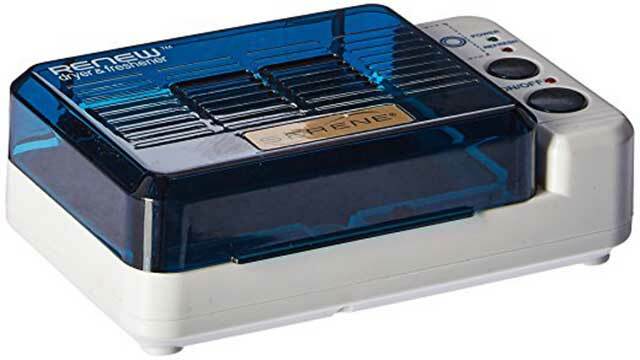 The Serene ReNew hearing aid dryer is an environmentally friendly and quiet dehumidifier that uses gentle dry heat and air circulation for moisture control and a UV light for disinfecting. The Quest PerfectDry LUX dryer is an electronic hearing aid dehumidifier that uses a fan for drying and a UV light for disinfecting. The Dry and Store Global II utilizes 3 types of drying methods: heat, air circulation, and desiccant to capture all moisture in the device. 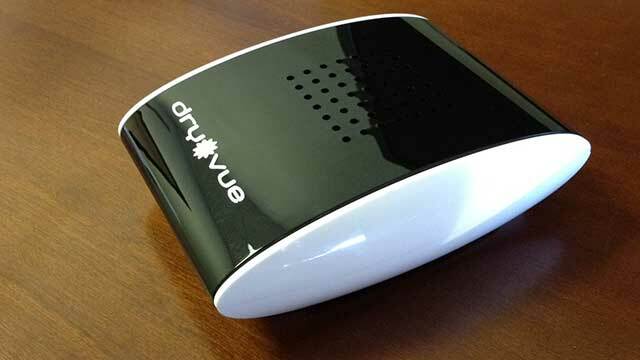 The DryDome is a compact convection dryer, a great electronic dryer option for traveling. 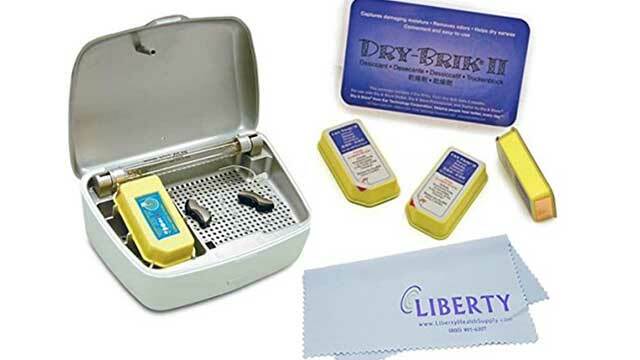 The non-electronic hearing aid dryers are usually called dehumidifiers and are very inexpensive. They are either disposable or can be reactivated for continued use without the need for electricity, making them great for travel. 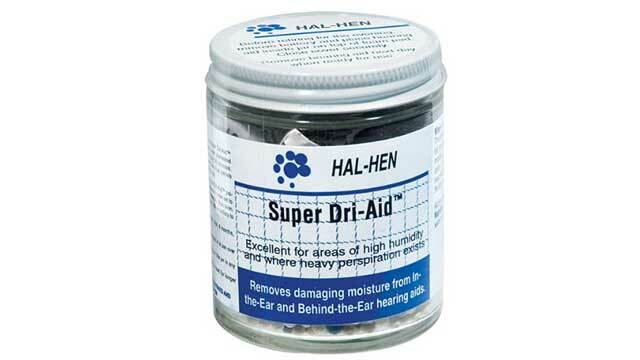 The Super Dri-Aid uses pellet-like desiccant beads that turn colors when it’s time to reactivate their moisture-holding capacity. 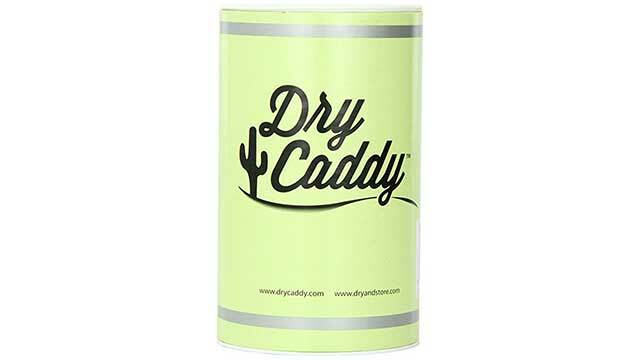 The Dry Caddy gives you 1-year of moisture protection in an easy-to-use jar. The Acu-Life Dri-Eze uses a desiccant lining for moisture control. Use your dryer every night. This may be difficult if you also have rechargeable hearing aids that need to be placed in their charger overnight. If you have rechargeable hearing aids you will want to consider a dryer with a short drying time, such as the Quest PerfectDry LUX or the AudioDry DryVue so that you can both charge the battery and use the dryer in a short time. Leave the battery door open on your hearing aids while using the dryer so that air can circulate throughout the battery compartment of the hearing aid. You can leave the batteries inside the hearing aid. Replace the desiccants or dispose of your dryer when indicated. An expired dryer or desiccant brick is worthless once it’s moisture-removing power has expired. This will need to be monitored on all the non-electronic dryers and the Dry and Store Global II dryer which utilizes desiccant bricks. It is helpful to write the expiration date on the device itself or on your calendar as a reminder. Use your dryer immediately after your hearing aids are exposed to any significant water, such as if you were to accidentally get in the shower with them on. Let them go through at least one drying cycle after the water event and replace the batteries. No matter how careful you may be about keeping your hearing aids away from water, that pesky moisture is lurking everywhere and can dramatically affect your hearing aids and cochlear implants. 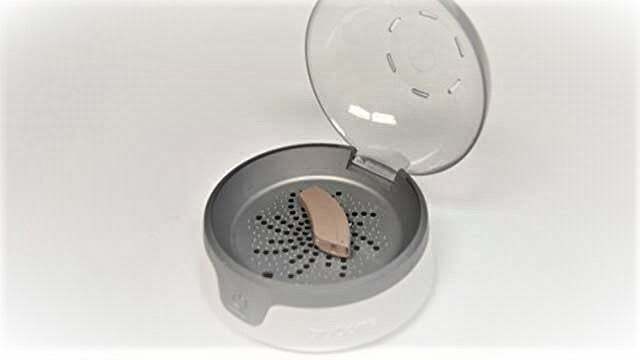 Using one of the hearing aid dryers and following the guidelines above will ensure your devices maintain their reliability and function for you for many more months or even years. 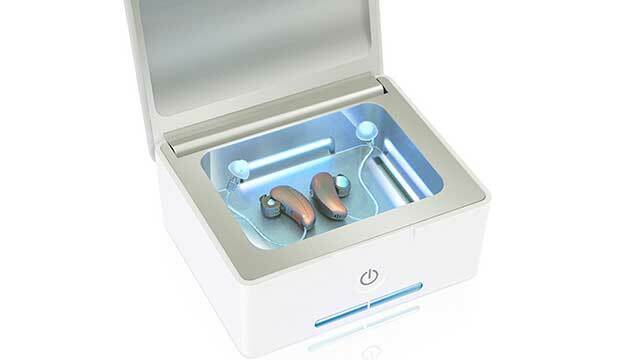 Could you benefit from upgrading to the latest hearing aids? 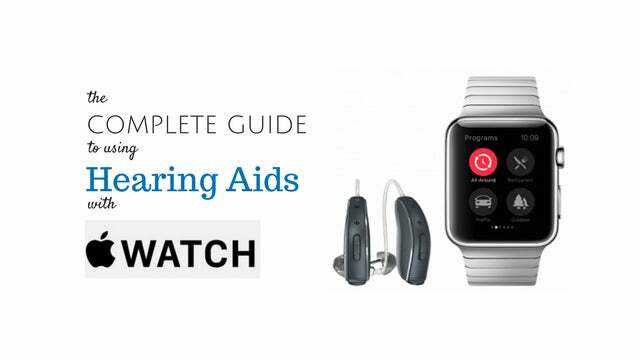 Find local hearing centers offering the latest hearing aid tech with our free online tool. Thank you very much for voting our dryer on the 1st position. We have new generations of dryers and hope you like them too.